TEMPO.CO, Jakarta - The on-demand application-based transportation service Go-Jek begins operational activities in Jayapura, Papua on January 10, 2019. 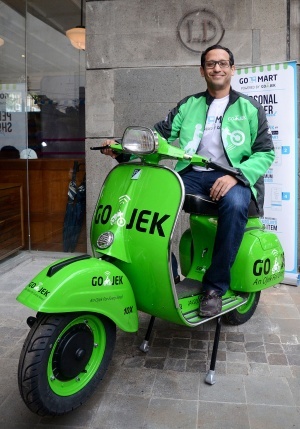 The Vice President of Go-Jek for eastern Indonesian region Anandita Danaatmadja, said that Go-Jek presence hopefully can help local residents to have open access to multiple services. Anandita hoped that with the expansion, her company could assist driver partners and micro-entrepreneurs. "We hope Jayapura people can enjoy the benefit of technology, especially in encouraging the regional economy," said Anandita in a written statement in Jakarta on Thursday, January 10, 2019. The company stated that it would prioritize local drivers to join as driver partner as well as open access as wide as possible for micro, small, medium enterprises or MSMEs in the region to go online and obtain broader market share. In Jayapura, Go-Jek temporarily offered three services, Go-Ride, Go-Food, and Go-Send. Along with local police, Go-Jek would strive for the security of driver partners and consumers by applying a special application dubbed Noken. 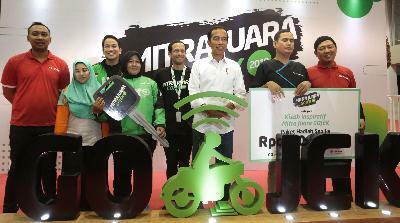 Jayapura Mayor Benhur Tomi Mano expected Go-Jek operations in his region could support the eastern Indonesian region as a Smart City. He also hoped the public could support Go-Jek to improve the living of workers in the informal sector as well as empower the MSMEs.